The roof of your home or business is without question one of the most important features of your building’s structure. The wrong choice in selecting someone to repair, rebuild or newly install your roof can have disastrous consequences down the road. Whether it is just time for a new roof, or you have had fire, water or wind damage to your home or business, you can count on us to handle everything from basic roofing repairs to total roof replacement. Additionally, if you suspect that you might have mold in your attic due to leaks, we have state of the art equipment and highly trained technicians to properly restore your attic and removal any mold growth. At ServiceMaster Restore of Fort McMurray, we pride ourselves in our ability to ensure that, regardless of the situation, you can count on our highly trained restoration specialists to correctly inspect, diagnose and report on all restorative work that is required. Our specialists will ensure that every task, from basic roofing repairs to total roof replacement are completed, not just to code, but to our own high level of work standards. In many cases, when roof repairs are required, the integrity of the roof has been compromised. Any time a major roof repair is undertaken, an inspection of the supporting structures and attic (if there is one) is required. 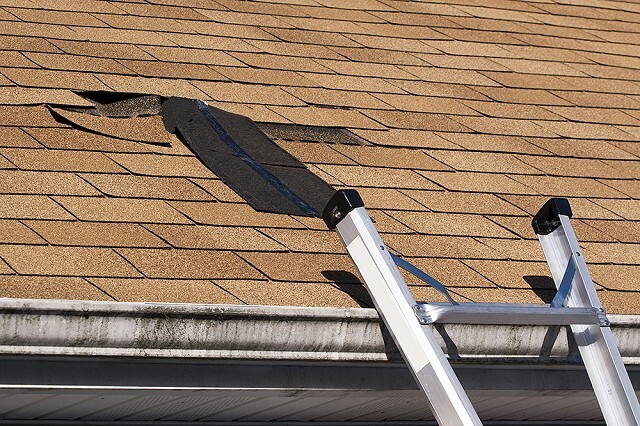 Our highly trained technicians will properly inspect and rebuild both your roof and attic if necessary. A leaking roof can create a lot of damage quickly. A neglected leak can lead to much more serious damage due to water intrusion into the building's interior. Rotting wood can compromise the building's strength, foundation, and overall structure. If you suspect that you have a leaking roof or if you think a recent storm may have caused some damage, call [insert company name], today. As the commercial property owner, you are responsible for payment and will need to sign a form authorizing payment for the restoration services. If this is an insurance claim, ServiceMaster Restore generally collects only the deductible (co-payment) amount from you and bills the balance to your insurance provider as a service to you. If you have a large loss, your mortgage company may be included as a payee on the payment from your insurance company, and you may need to obtain a signature from them as well. If your claim is not covered by insurance or you decide not to file a claim, you will be expected to pay in full. A payment schedule may be agreed upon prior to the start of any non-insured work.